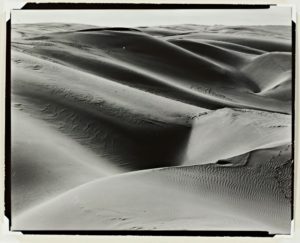 After 38 years of building a collection of a 1,000 photographs by seven major American Photographers, the firm Capitol Group gives it away to the Cantor Arts Center at the Stanford University, along with a generous endowment. 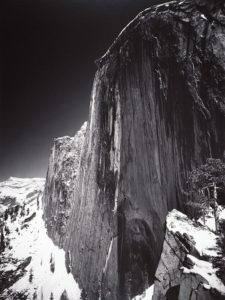 The Capitol Group Foundation Photography Collection was begun with a museum set of Ansel Adam’s own selection of his best images, one of only six the artist made. It also includes vintage photographs by Edward S. Curtis, Edward Weston, Wright Morris, John Gutman, Gordon Parks and Helen Levitt. 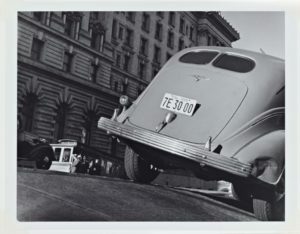 “The gift allows us to tell the story of 20th century American photography in a way that we hadn’t been able to, from Ansel Adams’ approach to the West and its wilder form through late 20th century depictions of urban settings like New York,” shares Susan Dackerman, director of the Cantor Arts Center. It is a diverse collection, from Adam’s classics as Moonrise Over Hernandez, New Mexico to Levitt’s rarely seen color works; from as early as 1911’s The North American Indian Portfolio by Curtis to as late as a 1988’s San Francisco store front by Gutmann. The premise behind forming the Capitol Group Foundation Photography Collection had always been to form a scholarly group of works focusing on important photographers and what they chose as their most representative work (the collection’s former curator Seligman worked with all the artists who were alive, except Curtis, to make the selections). Likewise, it is scholarship behind choosing the recipient university. Adapted from: Whiting, Sam, “Cantor wins major photography archive and endowment for Stanford,” San Francisco Chronical, March 11, 2019. click here. Monolith, the Face of Half Dome, Yosemite Valley, California,” 1927. Photo: Ansel Adams, © The Ansel Adams Publishing Rights Trust. John Gutmann, “Nob Hill, San Francisco,” 1938. Photo: John Gutmann, Capital Group Foundation Photography Collection at Stanford University. Edward Weston, “Oceano (Set 1),” 1936. Photo: Edward Weston, Capital Group Foundation Photography Collection at Stanford University.